In order to meet our goals, we take our time to fully understand what the client requires and we ensure that we always offer the highest quality products and workmanship. We are constantly growing and learning new innovative caulking techniques and using the latest products to ensure superior service and efficient, effective solutions for the client. As professionals, we fully understand what it means to take pride in your work. We know that besides the expertise and craftsmanship that you offer your clients, there is nothing more paramount to the quality of the end product than the quality of the materials used and the workmanship applied to your project. Our pride comes from ensuring we offer our superior work and products to successful professional homebuilders, commercial developers, contractors and trades professionals to help in assembling the best homes and commercial properties in their respective business portfolios. In order to accomplish this, we provide the latest in energy efficient, environmentally safe, and technologically advanced caulking solutions in the industry. With energy prices at all time highs and building codes that need to be met to ensure Canada’s highest building standards are applied, we know the importance of getting a job done right the first time. 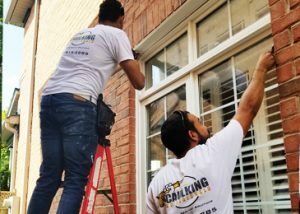 As we strive and aspire to be the GTA’s premiere caulking company, let us show you how we can help you ensure that your caulking needs are met with the best solution available, so that your reputation and ours is intact and solid as the buildings you and your teams build. Make sure to call us for more information and to schedule a free estimate and/or consultation.